Here is a set of 4 handmade felt coasters. 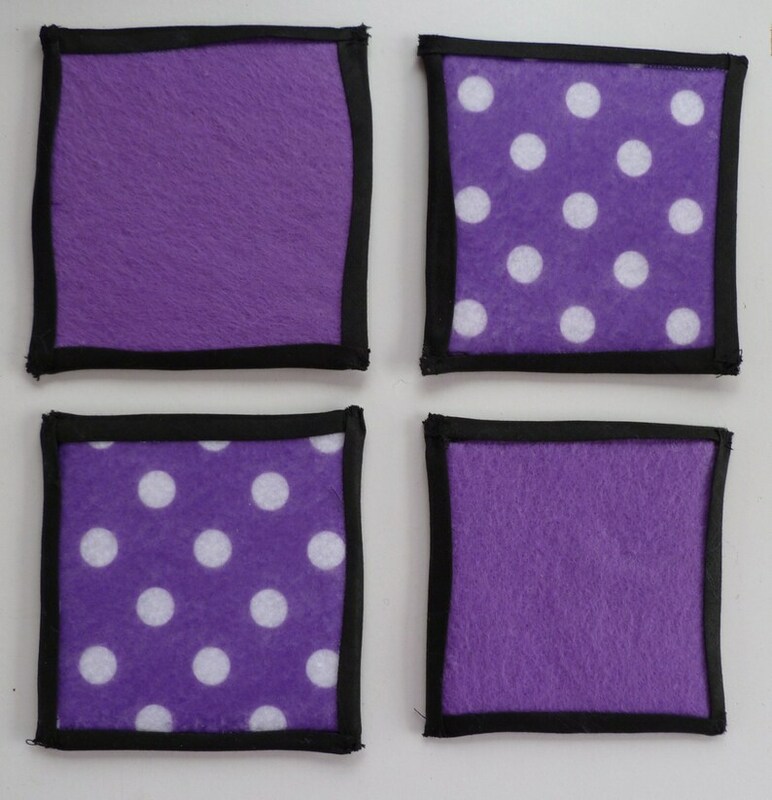 2 are solid purple with a black binded edge and the other 2 are purple and white polka dots with a black binded edge. The coasters measure approximately 3 1/2 X 3 1/2. They are handmade so they are not exactly the same size.